That portion of the foundation of a structure which transmits loads directly to the soil; may be the widened part of a wall or column, the spreading courses under a foundation wall, a foundation of a column, etc. ; used to spread the load over a greater area to prevent or reduce settling. Common types of footings include continuous footings, spread footings, matt footings, and grade beam footings. 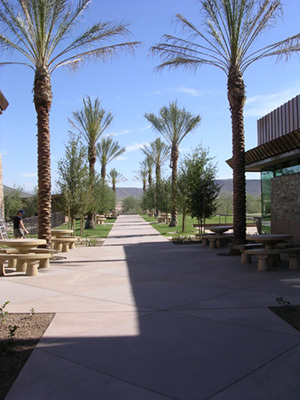 Any concrete work that is horizontal such as driveway, slabs on grade, and sidewalks. Different than concrete walls or other formed concrete. A special type of concrete that is capable of carrying a structural load or forming an integral part of a structure. Structural concrete items require form work. Items considered structural concrete include cast in place concrete walls, pedestals, pilasters, slabs on deck, and elevated decks. 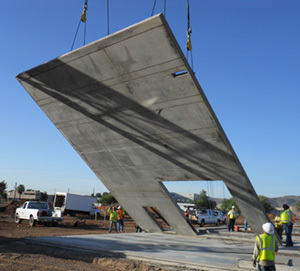 In this method concrete walls are formed, poured, and finished on a concrete slab, usually the building floor, but sometimes a temporary concrete casting surface near the building footprint. 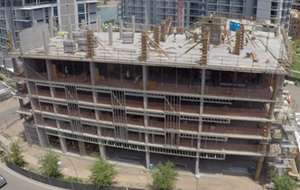 After the concrete has cured, the walls are tilted from horizontal to vertical with a crane and braced into position until the remaining building structural components (roofs, intermediate floors and walls) are secured. Concrete finishers place the concrete either directly from the concrete wagon chute or a concrete pump. They spread the concrete using shovels and rakes, sometimes using a straightedge back and forth across the top of the forms to “screed”, or level the freshly placed concrete. 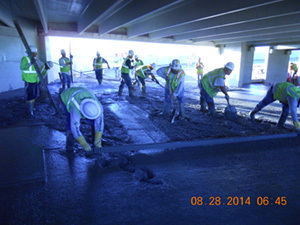 After leveling the concrete, they smooth the surface using either a hand masonry trowel, a long handed “bull float” or powered ride on trowels. Site work includes the construction of everything outside of the building footprint. 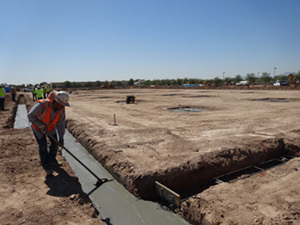 Typical items considered as site work are sidewalks, handicap ramps, trash enclosures, drive approaches, curb and gutter, transformer pads, and light pole bases.